This Octagonal diamond is 0.9 carat in weight, and comes with Excellent polish and Very Good symmetry, as verified from an independent gemological laboratory. 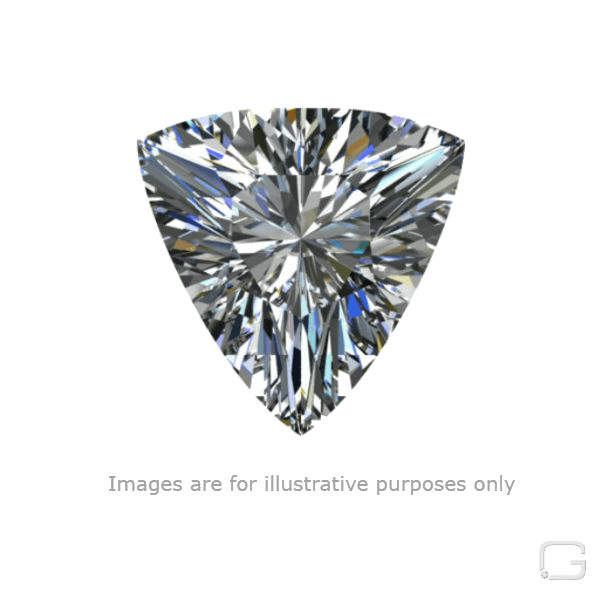 The diamond is graded D in colour, and has a clarity grade of VVS2. The diamond's GIA grading report number is 1325027609, which will detail further its specifications and measurements, and will also come with the purchase of the stone. This Octagonal diamond is 0.72 carat in weight, and comes with Excellent polish and Very Good symmetry, as verified from an independent gemological laboratory. The diamond is graded F in colour, and has a clarity grade of VVS2. The diamond's GIA grading report number is 16021597, which will detail further its specifications and measurements, and will also come with the purchase of the stone. AUD 12,917 Excl. Duties / Taxes. This Trapezoid diamond is 1 carat in weight, and comes with Excellent polish and Very Good symmetry, as verified from an independent gemological laboratory. The diamond is graded D in colour, and has a clarity grade of VVS2. The diamond's GIA grading report number is 7318168485, which will detail further its specifications and measurements, and will also come with the purchase of the stone. AUD 2,024 Excl. Duties / Taxes. This Baguette diamond is 0.44 carat in weight, and comes with Excellent polish and Very Good symmetry, as verified from an independent gemological laboratory. The diamond is graded E in colour, and has a clarity grade of VVS2. The diamond's GIA grading report number is 6321308807, which will detail further its specifications and measurements, and will also come with the purchase of the stone. This Baguette diamond is 1.01 carat in weight, and comes with Excellent polish and Very Good symmetry, as verified from an independent gemological laboratory. The diamond is graded H in colour, and has a clarity grade of VVS2. The diamond's GIA grading report number is 2155943967, which will detail further its specifications and measurements, and will also come with the purchase of the stone. This Square diamond is 0.56 carat in weight, and comes with Good polish and Good symmetry, as verified from an independent gemological laboratory. The diamond is graded E in colour, and has a clarity grade of VVS2. The diamond's GIA grading report number is 2205022417, which will detail further its specifications and measurements, and will also come with the purchase of the stone. AUD 19,395 Excl. Duties / Taxes. This Baguette diamond is 1.99 carat in weight, and comes with Very Good polish and Very Good symmetry, as verified from an independent gemological laboratory. The diamond is graded I in colour, and has a clarity grade of VVS2. The diamond's GIA grading report number is 7238824087, which will detail further its specifications and measurements, and will also come with the purchase of the stone. AUD 1,28,223 Excl. Duties / Taxes. This Briolette diamond is 6.21 carat in weight, and comes with Very Good polish and Excellent symmetry, as verified from an independent gemological laboratory. The diamond is graded I in colour, and has a clarity grade of VVS2. The diamond's GIA grading report number is 5151054495, which will detail further its specifications and measurements, and will also come with the purchase of the stone.